Abu Dhabi, 16 March 2017 – The third Meeting of Signatories to the Memorandum of Understanding on the Conservation and Management of Dugongs and their Habitats (Dugong MOU), and a two-day expert workshop attended by 125 conservation practitioners from around the Indo-Pacific region which followed, were convened by the Convention on the Conservation of Migratory Species of Wild Animals and the Government of the United Arab Emirates. The international gathering was the largest of its kind ever to be held. Seagrass meadows support fisheries across the Indo-Pacific, and are increasingly recognized for their ability to help mitigate the impacts of climate change. They store carbon forty times faster than tropical rainforests. Thirty-two per cent of the world’s 25 most landed fish species use seagrass as habitat at some stage in their life cycle. Yet, these highly productive habitats are being lost at rates faster than rainforests and coral reefs, putting at risk already endangered migratory species. Seagrass meadows also support fishing communities, and their conservation can support poverty alleviation: in many developing nations, marginalized communities depend on seagrass and the multitude of animals that they harvest from them for their livelihoods. The newly launched Dugong & Seagrass Research Toolkit is an online tool where community groups, citizen scientists, conservation bodies and governments can select the most appropriate standardized methods to research seagrass, dugongs and the communities reliant on ecosystems for their livelihoods. For example, learning about Dugong movements as well as seagrass-dependant fishery resources helps communities to maintain sustainable fisheries whilst contributing to the protection of important Dugong populations and improving livelihoods. 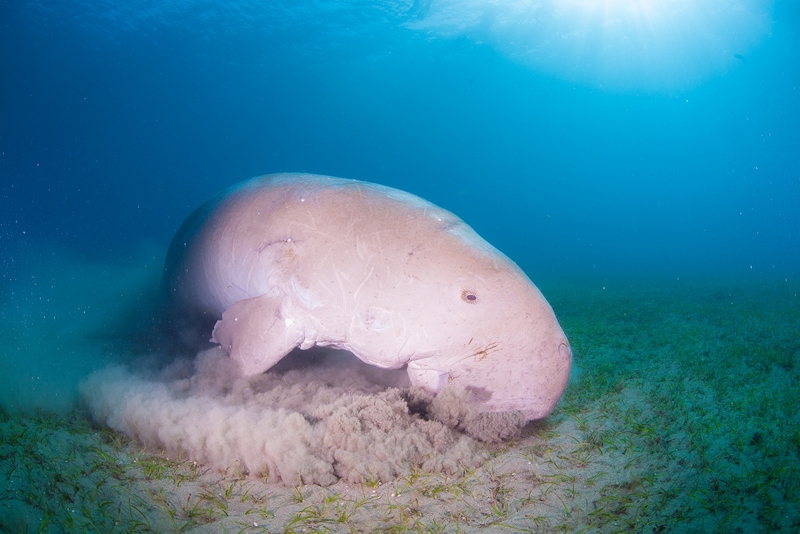 The Dugong & Seagrass Research Toolkit will be promoted for use across the Dugong’s range, and can be adapted to other parts of the world where the other sirenian species, manatees, live. As a common endeavour, Governments agreed to work with the Dugong and seagrass research and conservation community to undertake more standardized research and monitoring activities as a prerequisite for devising tailored conservation measures in their own countries. Better coordination of surveys and data exchange on Dugong populations between countries will improve transboundary protection.